Below, I speak with REBBL CEO Sheryl O’Loughlin about how the functional beverage brand promotes biodiversity by incentivizing its suppliers to adopt regenerative agriculture practices, using ethically sourced ingredients in its products and through consumer education. O’l0ughlin shares insight into how and why regenerative agriculture and biodiversity are core to REBBL’s business. She talks about the company’s complex supply chain, and how its ingredients help protect and support indigenous lands and communities. 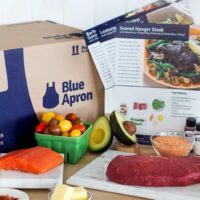 She also emphasizes the importance of consumer education to help people understand the true cost of food, including its impact on the planet and communities. She explains that as eaters expect more from brands, social media has been a great platform for the brand to connect with millennials about the brands social and environmental commitments. Danielle Gould: How and why is biodiversity a priority for REBBL? 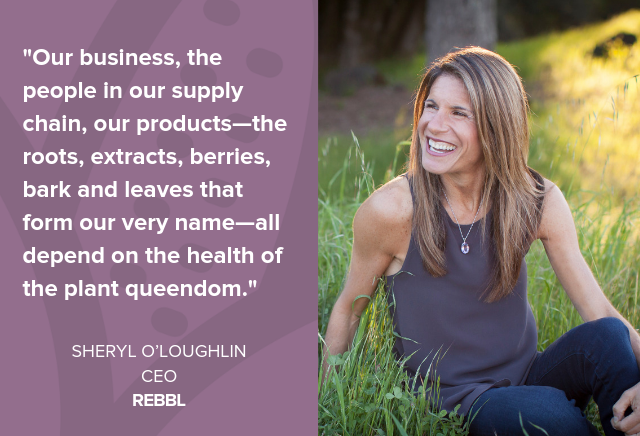 Sheryl O’Loughlin: REBBL super herb beverages was co-founded by the nonprofit Not For Sale, whose mission of co-creating a world without human trafficking is inextricably linked to climate change and its effects on economic stability. The world’s poor, who are often farmers, are hit the hardest by drought, erratic rainfall and natural disasters, which often leave them without a source of income, making them vulnerable to exploitation. This is why biodiversity protection and regeneration are core to REBBL’s mission and corporate direction. Our business, the people in our supply chain, our products — the Roots, Extracts, Berries, Bark and Leaves that form our very name — all depend on the health of the plant queendom. With Not For Sale, we continually evolve our business model to promote regenerative agriculture, to prevent exploitation and support biodiversity in the growers’ communities from which we source the 70+ certified organic ingredients that go into our super-herb proteins and elixirs. REBBL has committed to addressing the needs of all stakeholders — including consumers, retailers, growers and the Earth. DG: How does Rebbl define and think about biodiversity? 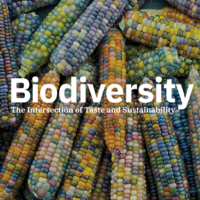 What does an ideal biodiverse food system look like? How do you measure biodiversity, and when will we know when we’ve arrived at a “good” level of biodiversity? SO: At REBBL, we embrace a living systems-based model, a paradigm of connection in which we are inseparable from everything around us. We are one with nature. Biodiversity is inherent in this model — my health is tied directly to your health and the health of every individual member of and broad system in the world, every cacao tree and the forest it grows in, every killer whale and the ocean she swims in. Obviously, taking this view makes business a little more complicated, since we have to consider the long-range ripple effects of each of our actions before making a decision. And because it’s so complicated, it can be difficult to gauge whether or not our actions are having the desired effect of improving biodiversity. Out of all the indicators of success — rich soil, clean water, flourishing vegetation and wildlife — we anchor our measurement in the comprehensive health of our grower communities. Farmers and their families are the ones implementing regenerative agricultural practices, after all, and the strength of their crops, the health of their land and water and the sustainability of their livelihoods go to mark our progress toward a “good” level of biodiversity. DG: What is REBBL doing or planning to do to promote biodiversity? SO: We are excited about three ways we are addressing biodiversity in our business. The first is supplier engagement. 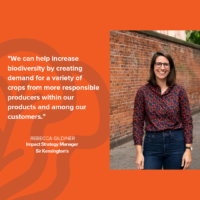 Our Supplier Ethos incentivizes the use of regenerative agricultural practices and supports efforts to empower growers to have a living wage, access to education and healthcare, and protection of their rights. The second is our products. REBBL uses ingredients that are organic and ethically sourced, and wild-harvested when possible. For example, the organic Brazil nuts in our Banana Nut Protein are ethically sourced and wild harvested from trees that require biodiversity to thrive, and so their health depends on the protection of indigenous land and supports the community in maintaining their indigenous agricultural practices. REBBL is a certified B Corporation, which means we have met high standards of compliance and promotion of environmental practices and biodiversity conservation. As an active member of nonprofit Climate Collaborative, a coalition of natural foods leaders dedicated to reversing climate change, we have made commitments, and we track and report on progress so that we are held accountable for following through. And third is our consumer education and marketing campaigns to raise awareness about the importance of biodiversity. Social media is a great way to connect, particularly with young people. Our Instagram engagement is through the roof because millennials are hungry to connect with purpose-driven brands. Some of our highest performing ads are those that talk about REBBL’s partnership with Not For Sale. We also go into grocery stores and attend consumer events to offer samples of our tasty and nourishing product directly to consumers. This face-to-face interaction makes for real connections, and gives consumers a chance to try REBBL and fall in love with it, and to engage in dialogue around our story and philosophy. We learn so much from them, too, as they share their stories and tell us why on the preservation of biodiversity is important to them. SO: The days when business was all about the bottom line are long gone. Nowadays, consumers are much more informed about and expect more from companies and brands. They want to vote with their dollars. So, alongside offering a great product, a company must also work toward positive change in order to attract and retain consumers. More than that, however, is the fact that without a biodiverse food system, our business—not to mention humanity as a whole—will cease to exist. We need to heal the environment and improve biodiversity for not just growing the organic ingredients that make our beverages exceptional but for our very survival. SO: The greatest threat to biodiversity is also the greatest contributor to global warming: deforestation and loss of habitat. So the first thing we must do is halt the downward trend by making investments that address it. REBBL has taken a leadership role in supporting the founding and continued efforts of the Climate Collaborative. Our climate collaborative commitments, for example, call for investments in areas such as regenerative agriculture, reduction of food waste and protection of forests. Next, we need to create urgent demand for protecting and restoring biodiversity through investments in consumer education. For example, most people don’t know that the food industry continues to use palm oil, the production of which decimates the most biodiverse rainforests on the planet! Investing in a campaign that outs those who exploit natural resources would go a long way toward getting consumers to spend their money elsewhere. People also need to understand the true cost of food — when it comes to quality of the products and the standard of living of those who create them, you get what you pay for. Finally, we need to make investments in innovation, so that we can continually expand our understanding of the issues we face and come up with new, better solutions. Our society spends billions of dollars on research to find cures for diseases, yet a fraction of that goes to studying our natural systems. We just can’t rely on policy makers or government agencies to prioritize this issue, so it’s up to us to take it on. Last month, our Senior Vice President of Impact met with leaders in business, banking, and development at an event hosted by Conservation International, and there it became clear that financing ventures that protect biodiversity is working. At REBBL, we will create better products for all of our stakeholders by continually learning and through a spirit of inventiveness. DG: What are the greatest challenges and opportunities your organization faces for creating a more biodiverse system, and what are you doing to overcome or capture them? SO: Our greatest challenge is simply getting to know the unique ecosystems of our grower communities, located in 29 countries and counting. What works in the tropical rainforest probably won’t in the midwestern Corn Belt, and every supply chain has its own needs in terms of nutrient cycling, pollination, pest control, soil and water conservation, as well as post-harvest handling, processing and manufacturing, distribution and the management of food waste. Understanding these complex relationships and the social, ecological and economically appropriate practices that will best support them takes time and energy, an ongoing project that never ends. We will always be asking questions and collecting data, searching for the next best revision of our methods and ways to improve our impacts on the ground. This challenge is also an incredible opportunity, one that is worth the effort. A deep understanding of the ecology of each supply chain allows us to make decisions that contribute to creating a more diverse and equitable world. SO: According to the 2015 Nielson Global and Corporate Sustainability Report, 73 percent of surveyed millennials are more likely to spend their money on a product from a socially responsible brand. We actually don’t really need to work very hard to get consumers on board; they already care. Rather, it’s about spreading the word so that people know about us and what we are doing. We are out there meeting consumers face-to-face through sampling in stores and at events, along with launching marketing campaigns and other forms of social engagement. Consumers can smell a fake from a mile away, so it always comes back to us walking the talk. DG: What are some of the most important things food manufacturers can do to support biodiversity? Retailers? Other key parts of the food supply chain? SO: First and foremost, we all have to take responsibility for our actions. There is no real separation between the Californian techie and the Peruvian farmer; we are all part of nature, so even if we happen to be living comfortable lives, we can’t ignore the realities of climate change. If we do, it will catch up with us sooner rather than later. In October of 2017, my family lost everything in the Sonoma county fires, only a few weeks after my parents had been forced to flee Naples, Florida, as a hurricane raged through their city. This was an up-close and personal experience of climate change, one that more and more people are having to go through as the number of natural and human-made disasters rises. We can no longer think of it as someone else’s problem — global warming is upon us. This means that biodiversity has to be a top priority for all of us, no matter our business or our role. It’s all of our problem, whether governments wants to face it or not. Food manufacturers must take responsibility for the impact of their supply chains; manufactures for the environmental impact of their manufacturing practices. Retailers must take responsibility for what they bring in to their stores, and consumers need to know where their purchases are coming from, commit to spending money on ethical products, and hold those same retailers accountable for their choices. Reversing global warming, cleaning up our oceans, eradicating systemic poverty — these are obligations that belong to all of us. SO: Right now, over half of the world’s plant-based food comes from corn, rice and wheat, much of which is conventionally grown, and 95 percent of the world’s caloric intake comes from just thirty species total, according to The Lexicon of Sustainability, a US-based NGO that provides communications strategies on food and agriculture. Meanwhile, large retailers tend to segregate natural and organic products in ways that convey the message that these products are specialty or fringe. In a society that values and cultivates a biodiverse food system, we would see a robust selection of fresh seasonal produce and products ethically sourced from the local and regional foodshed, not tucked away in a designated aisle but located front and center, while processed food made from synthetically fertilized monocrops would be gone from the shelves entirely. Everything we eat would be clean and made of real ingredients. SO: We would like see brands and products that are true to their word. Currently there are a ton of products that claim to be natural and organic, and though they might be certified, they are following the letter of the law but not its spirit. Not only are they often using problematic agricultural practices, they are weakening consumer trust in this sector of the industry. Along with products that are ethically sourced and brands that hold themselves accountable for impact claims, we’d like to see more diverse plant-based products and more companies devoted to regenerative agriculture and other social and environmental missions, just to start. Eventually we’d like to see an agricultural system designed and implemented to ensure that we all have healthy soil and biodiverse environments. This is about moving to an agricultural system that regenerates nature, using its natural systems, so we have a world in the future. SO: A biodiverse food system will look like robust regional foodsheds that prioritize local food security and decentralized management of agricultural biodiversity. A mission of social, ecological and economic sustainability will be at the core of every company. And that, as people, we recognize the vital role we serve in adding value to the ecosystem that we are so intimately a part of. Our job is not just to stop damage or even just to “do good” but to truly enliven the natural system. SO: For people who feel daunted by the problems we face, I think the most important thing to keep in mind is that you have to start somewhere, and small steps taken by all of add up quick to big positive change. At REBBL, we do it by focusing on our corporate direction: In partnership with Not for Sale, through invention, we nourish at the nexus of humanity, the earth, and the economy, and thrive when they are in harmony. This guides and inspires our work. Most of all, we are rooted in love. When your approach to business is truly grounded in love, you will enliven whatever you touch—your product and all of your stakeholders, including partners, retailers, consumers, and nature and all of her beings. In 2017, Sheryl O’Loughlin introduced her first book, Killing It: An Entrepreneur’s Guide to Keeping Your Head Without Losing Your Heart. The book has garnered attention from many media outlets, including Fortune, Conscious Company, Inc., Forbes, and the Huffington Post. Sheryl is the CEO of REBBL, the first plant-based, super herb adaptogen beverage company. In partnership with Not for Sale, a non-profit dedicated to co-creating a world without human trafficking, REBBL works to create regenerative and just supply chains. At REBBL, Sheryl leads the development of a new beverage that uses ancient wisdom confirmed by science to help modern-day, busy people adapt to stress. 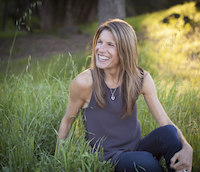 Earlier in her career, Sheryl served as the CEO of Clif Bar and Company. There she led the concept development and introduction of Luna, the first Whole Nutrition Bar for Women, which became a $70M business in three years and continues to be a core brand in the Clif Bar and Company portfolio. She then went on to co-found and serve as CEO for Plum, Inc., a healthy, organic food company that aims to nourish kids “from the high chair to the lunch box.” In 2013, Plum was successfully sold to Campbell Soup Company. Following her time at Plum, Sheryl was the Executive Director of the Center for Entrepreneurial Studies at the Stanford Graduate School of Business, and she held a faculty position at Sonoma State University, where she taught hundreds of aspiring entrepreneurs and other professionals. Sheryl currently serves on the board of directors for Once Upon a Farm, an organic family food company. She is an advisory board member of The Harvest Summit, an annual gathering of innovators working to solve the biggest world challenges, and an advisor to Conscious Capitalism-The Global Diversity and Inclusion Initiative. She is a member of the Forbes San Francisco Business Council and One Step Closer to a Sustainable Community (OSC2), whose mission is to address the toughest sustainability problems by building new regenerative businesses. In OSC2 she co-leads a diversity, equity and inclusion initiative. 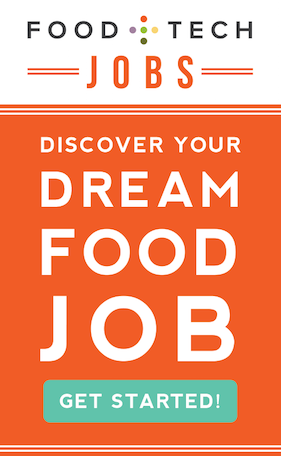 Previous boards include Zuke’s, thinkThin, Sugar Bowl Bakery and Gardein. Sheryl earned her Bachelor of Business Administration from the Ross School of Business at the University of Michigan and her Master of Business Administration from the Kellogg School of Management at Northwestern University. She lives in Santa Rosa with her husband, Patrick, and their two sons.